Owning a building housing a fast food restaurant or a pharmacy got a little pricier last year. But all in all, average yields on “net lease” properties remained relatively flat in 2018. Net leases are those in which the tenant agrees to shoulder some of a landlord’s expenses. For instance, some tenants might agree to what is known as a double net lease in which they handle property taxes and insurance on the building and the landlord handles maintenance and other costs. A triple net lease can add maintenance to the tenant’s responsibilities. One way to measure the ownership potential of a net-lease property is comparing so-called cap rates, or the rate of return a property receives based on the income it generates and the price a buyer paid for it. This year is shaping up to offer similar rates of return to 2018, unless the Federal Reserve spooks investors again by moving aggressively to raise interest rates. “We are expecting another year like 2018, with the only ruffles coming if we get more than minor bumps from the Fed rate,” said Camille Renshaw, chief executive officer and co-founder of B+E, a firm that specializes in net lease real estate. The average single-tenant cap rate rates ended the year at 6.58 percent, up from 6.53 percent in the third quarter, according to Herndon, Virginia-based net leasing firm Calkain’s fourth quarter report on cap rates. Net lease deals tend to be attractive to first-time investors because they usually are done with a single tenant that has a big national brand. The investor only needs to understand that one tenant’s business. “It just makes the due-diligence much easier,” Renshaw said. Arthur Perlen, a principal in Centennial Retail Services in Nashville, said a lot of fast food chains prefer absolute leases, which means the tenant covers all day-to-day expenses and the investor just collects rent. “It’s just mailbox money,” Perlen said. Higher cap rate yields typically reflect deals that carry more risk. Perlen cautioned that chasing those higher returns can be one of the biggest mistakes investors make. “They need to look at the underlying real estate,” he said. A great location, for example, tends to fill quickly when a tenant departs, allowing those rent checks to keep coming in. But that’s not always the case with properties in less ideal spots, where an investor might have to carry a vacancy for a while. Values can also vary by the type of tenant, the type of lease and the length of a lease. A property with a 20-year lease tends to be worth more than one with 10 years left on the lease. A property with a corporate-backed lease tends to be higher than one with a franchisee-backed lease. 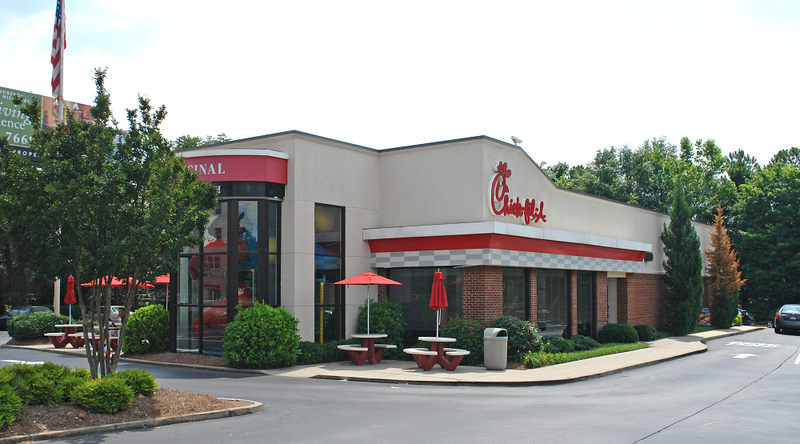 Fast-food and pharmacies remain the “safest bets” for net lease investments, experts say. Both segments saw yields drop some last year. Fast food, dubbed quick service restaurants, dropped from 5.88 percent in the third quarter to 5.65 percent while pharmacies saw a drop from 6.34 percent to 6.09 percent on average, according to Calkain. With fast food, in particular, Calkain attributed the drop to more ground leases, or deals in which a tenant is allowed to develop a piece of property with the understanding the new building may revert to the owner when the lease expires. Such deals typically generate lower yields, and Calkain said cap rates also declined due to an increase in average years left on a lease. While pharmacies are considered a good bet, they aren’t immune to emptying space. Walgreens bought nearly 2,000 Rite Aid stores last year and closed hundreds of duplicate locations, leaving a lot of empty street corner real estate. Calkain said the pharmacy segment could face further disruption, not from other pharmacies, but convenience stores. The firm noted that “front-end” store sales, the non-pharmacy goods, suffer when customers can find more convenient alternatives, such as Wawa, a Pennsylvania convenience and gas store chain mostly along the East Coast. And that could siphon profits, causing a drop in value and an increase in yield because of the higher risk.